ADHD (attention deficit hyperactivity disorder) is a mental disorder starting in early years which can go on to have significant negative effects on lives if not spotted and addressed (1). Often coaches and parents are unaware of hallmark features and can be reluctant to raise the issue as a problem due to embarrassment or ignorance. Combined with this is the question about where to go for help, is there any treatment and also is it not good for hyperactive kids to ‘let off some steam?’ Given the above, here is some practical tips for noticing it and what help looks like. Diagnosis of ADHD can be challenging, sometimes requiring more than one mental health professional and a variety of skills and expertise. The diagnosis takes time and shouldn’t be rushed into. GPs are equipped to asked screening questions and identify possible suffers, referring onto secondary care. There have been concerns expressed in some countries with regards over diagnosis and a knock on effect of overprescribing of stimulant medication (2). UK based doctors are therefore hesitant to jump into diagnosis or medication and therefore want to ensure they’ve got things right for the patient. Validated scoring systems (3) and multidisciplinary approach are at the core of assessment and treatment. The classic triad for diagnosis is hyperactivity, inattention and impulsivity. There are identifiable subtypes if one of these is predominantly seen. One can imagine how these are overlooked in a team sporting environment or passed off as being ‘normal.’ These signs and others should be evident in other settings, for example school, home and social events as well as in sport and have a significant effect on functioning. Around some team sports, hyperactivity especially at a younger age can be seen as a positive trait. A football coach’s dream is to have ‘an engine in midfield’ covering the work of 2 players, box to box until the fulltime whistle or indeed the openside flanker who makes twice as many tackles as anyone else. However when game plans and sticking to some instruction for betterment of team strategy comes into play, ADHD sufferers can struggle and in some instances fall away. Inattention and distractibility are often most apparent were requirement to engage in effortful tasks can be a major hurdle to overcome for the athlete. Coaches need to be mindful of this and some have reported benefit of giving ‘to the point’ messages and quick feedback to these players. There is no singular cause seen for ADHD. Although there is a genetic component, this has only be partially located with the genome and any brain changes which may be seen require detailed imaging which doesn’t necessarily change long-term outcomes. Dopamine and in particular the D4 Receptor are thought to play a crucial role. Environment undoubtedly plays a role also and should be addressed if possible. Features a coach might see in a child on a sports field would be difficulty staying on task, marked inattention on events, getting bored easily, reckless and prone to injury, cognitive delay when compared with peers and struggling with prolonged instruction. As with any disease in medicine – non pharmacological methods of management should be trialled and considered first. This involves working to form positive relationships with the athlete, parents, extended family, carer and teachers. Sport specific management is an important aspect and coaches must contribute. It is easy for these players to become isolated in team sports, performance levels drop and interest wane. A coach should avoid any unexpected change, give basic feedback and instruction, encouragement 1 to 1 when possible and single messages at a time. Being able to be child specific with interaction style and responding to events in insightful ways can help too. In summary, it is possible to spot ADHD with even some of the clues given above. Coaches often might see things that parents don’t and know that GPs and sports psychiatrists will consider all possibilities in good depth. There is no quick fixes for ADHD however their brains crave structure and sport participation has an important part to play not only in the physical benefits for these kids but social learning also. 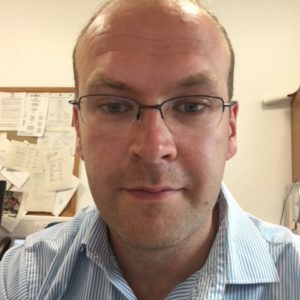 Dr Thomas McCabe is a psychiatrist based in Glasgow with a specialist interest in sports psychiatry. He works with a variety of teams and organisations on the wider topic of mental health and is a key member of the Sports Psychiatry Royal College of Psychiatry Specialist Interest Group (#SEPSIG). He has carried out research into effectiveness of medication in ADHD.